Food grade P.T.F.E. (Polytetrafluoroethylene) is a dry film lubricant that has an extremely low friction value. Food grade PTFE is white in colour. Food grade PTFE is carried in a fast evaporating solvent with non stick properties and is clean and stain free. The solvent evaporates within a few seconds leaving a long lasting fine film of PTFE deposited on to the surface being sprayed. 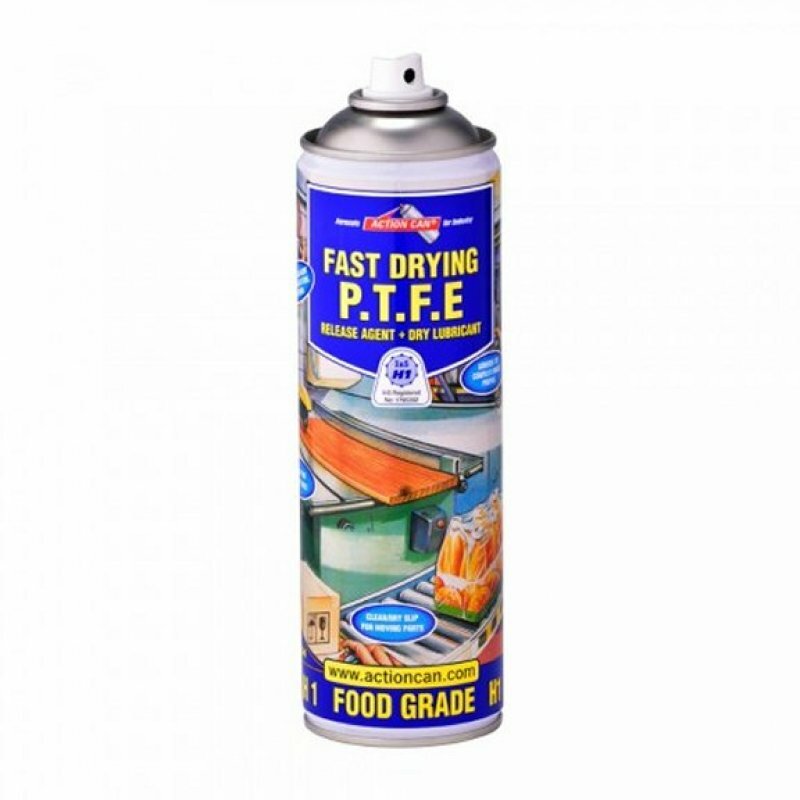 Food grade PTFE spray prevents a build up of resin on metal tools and metal surfaces. Food grade PTFE Spray is particularly effective in locations where a grease, oil, or silicone lubricant is not acceptable.Food grade PTFE spray is an ideal dry lubricant for metal, wood, plastics, rubber, glass, leather, fabric and foam materials. food grade PTFE flakes are non-flammable; however the solvent and propellant in this aerosol are flammable. Food grade PTFE is stable at temperatures from -40 degree C to +260 degree C (applies to base product before aerosol packing). PTFE spray is silicone free with long lasting lubricant and protection effect. food grade PTFE spray is insoluble in water and is non toxic. food grade PTFE spray is used in engineering, automotive, farm, factory, and DIY industries. Food grade PTFE spray can be used on cams, slides, chutes, printing machinery, saw blades, router cutters, fasteners, bearings, and electro-mechanical parts in electronic assemblies.